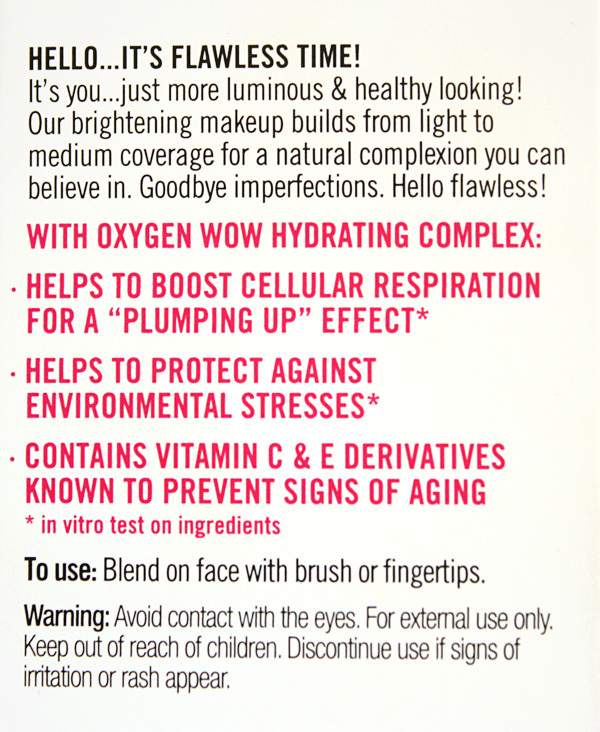 Benefit's popular Hello Flawless Oxygen Wow Brightening Makeup is a water-based liquid foundation that brightens complexion. 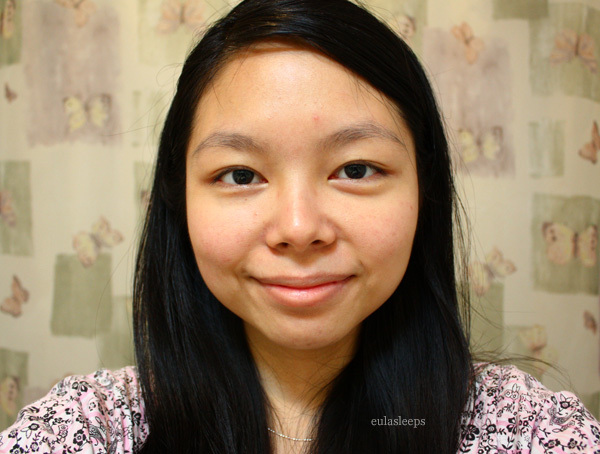 When I tanned my sallowness deepened so that BB cream became too ashy on me. 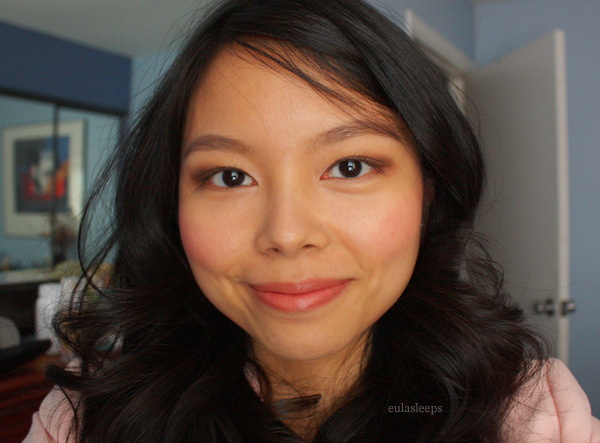 Hello Flawless has shades with yellow undertones, and I found one that was perfect for me. 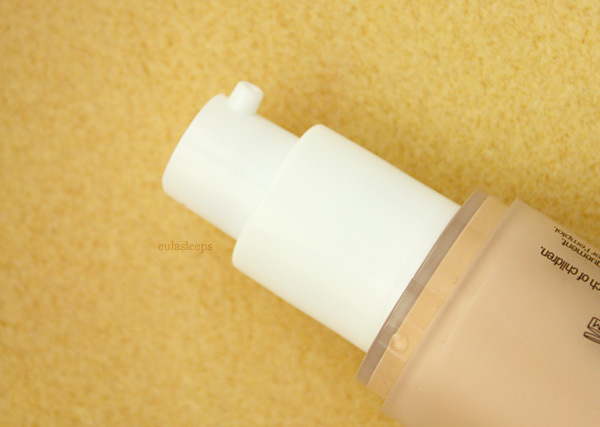 It comes in a sturdy plastic bottle that is very light, suitable for travel. (If you haven't noticed by now, I love when things are travel-friendly.) 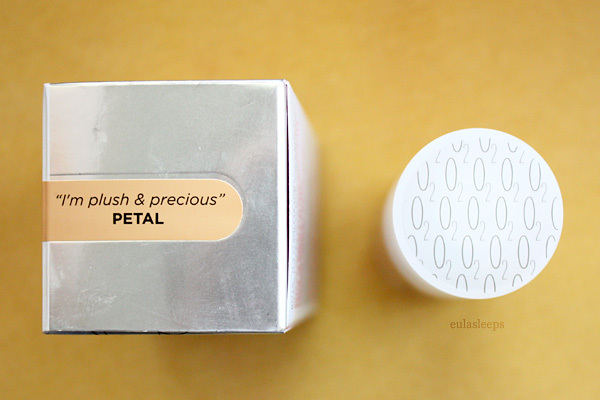 I got the shade Petal, which as you can see is quite warm and yellow. One pump is more than enough for my entire face. Before and after photos. 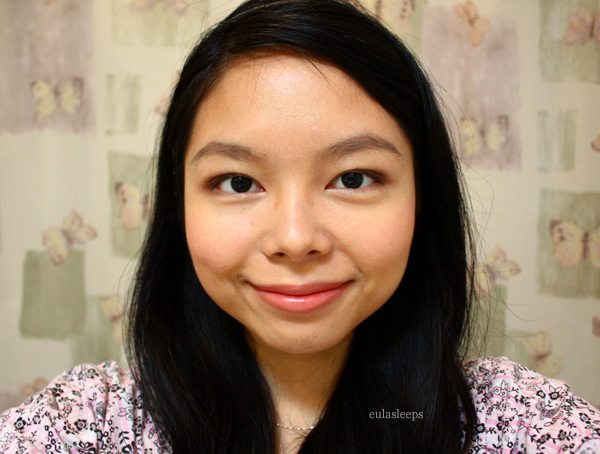 This foundation is made for oily skin. It performs great in warm (not hot) weather. 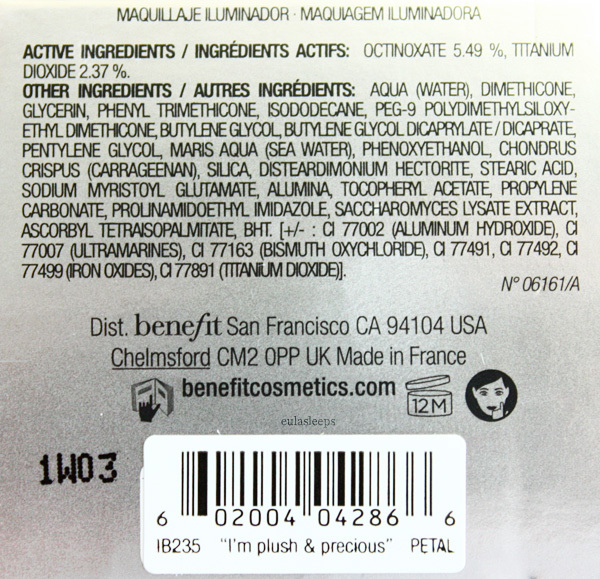 It's very lightweight and dries into a demi-matte finish. 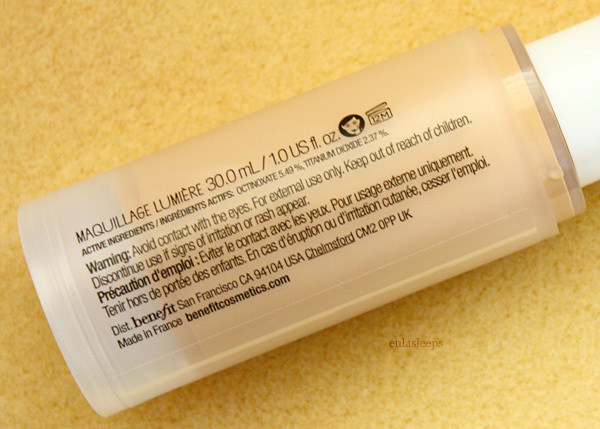 That it has SPF 25 PA+++ is a plus. The formula is quite runny and dries fast, so work fairly quickly. You will need a brush to apply this properly. (I like using this face brush.) Using fingers alone it applies very patchy. 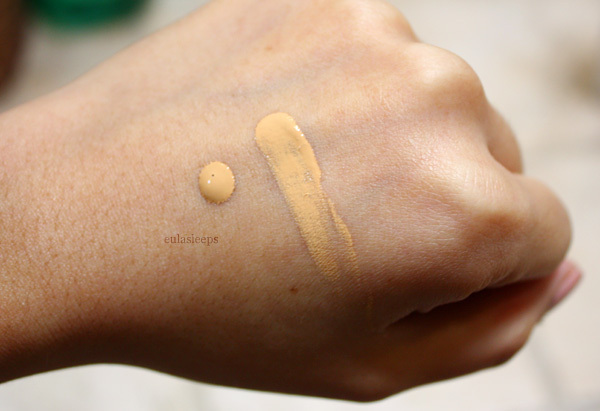 Coverage is light to medium, which I like. I don't build it up because it ends up looking cakey. Hello Flawless has a narrow temperature range in which it works. In cold weather (sixties, low seventies), it accentuates flaking on my skin. The formula also disintegrates when mixed with sweat. I once wore it to a club and by the end of the night it did not look pretty. It's best used in controlled temperatures, such as an airconditioned room. A few more profiles below. Lightweight, brightening, with a demi-matte finish. Hygienic pump bottle that's travel-friendly. Melts in heat, breaks down with sweat. 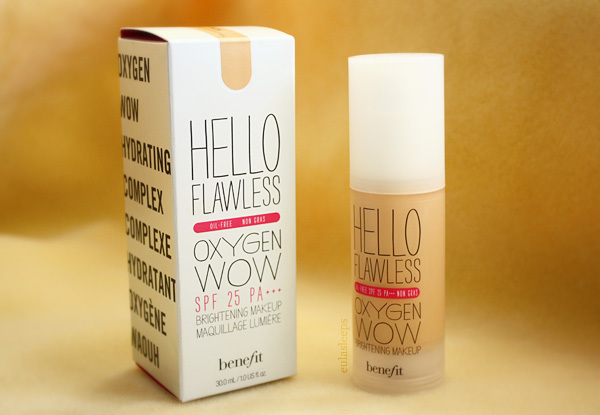 A 30 ml bottle of Benefit Hello Flawless Oxygen Wow Brightening Makeup Liquid Foundation retails for US $36, or PhP 1,900 in the Philippines.